A Little Update and a New Linkup. The silence has plagued the blog lately, not because I have nothing to say or no new outfits to post - trust me I have at least a dozen new outfits I have worn and shot lately, and the occasions I have nothing to say are rare lol - but I have been so busy. Why are our Summers so busy, guys?! The days I was off from work I mostly spent with Vivian since she also finished pre-school --- cleaning around a little bit, navigating our closets and purging them a little, taking her out to local places, plus out to play, reading to her and just spending a lot of time with her. Today was my first full day back at work and I had an important meeting early in the morning too, besides so many things to do at work, a mountain of e-mails to check and so much to do in general. As if that wasn't enough, it was also Vivian's first day of school today. I was able to drop her off to her Summer school but my mom picked her up. She had a great day, too. 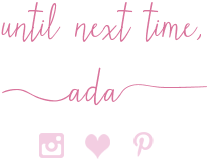 So, without making this post super long as it was my original intention (short+sweet) I don't have my normal Thursday Moda outfit post quite ready. I slept horribly last night and I have been yawning since afternoon today. I only made it home around 10.15 PM so I am beyond exhausted. I don't have my Thursday Moda post ready just yet but hope to wake up around 7.00 AM and have it up around 9ish-9.30 at the latest. And it is a cute, polished 4th of July-inspired outfit, too, so don't miss it! And below, I am opening this week's new linkup so you can all link to and join it ASAP, even-though I am not ready lol. Speaking of the linkup, I would love to have co-hosts every now and then. I enjoy and love so many of your blogs. So if you are interested, go under my contact link to see how you can get in touch with me. =) Thank you so much!